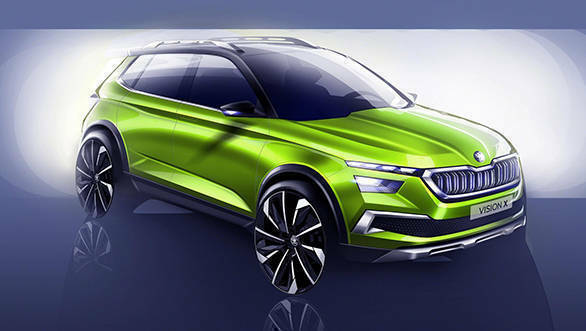 Skoda has released teaser sketches of its Volkswagen T-Roc-based SUV, the Skoda Vision X concept. The Skoda Vision X concept SUV will be showcased at the 2018 Geneva Motor Show in March. The Vision X SUV is expected to be launched in international markets in the second half of 2019. The Skoda Vision X concept shares styling cues with its siblings, the Skoda Karoq and Skoda Kodiaq. 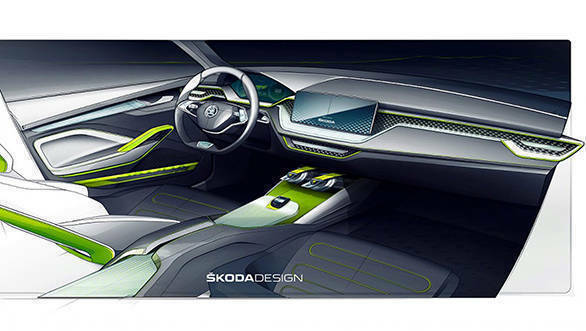 The sketches suggest that the Skoda Vision X concept will feature LED headlamps separated from the higher-placed LEd DRLs, a large chrome grille, panoramic sunroof, and large 20-inch alloy wheels. Skoda will reveal a close-to-production version of the Vision X at Geneva. While we believe that the Skoda Vision X SUV could make it to India following the launch of the Volkswagen T-Roc here, there is no word on an India debut for the former yet. 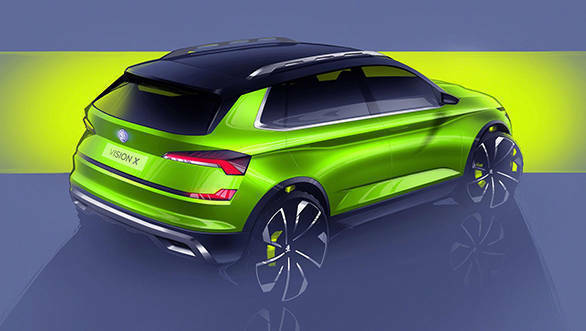 While the Vision X shares its Volkswagen Group MQB A0 platform with the Skoda Fabia, reports suggest the small SUV will have a significantly longer wheelbase than the hatchback, sharing wheelbase dimensions similar to the Skoda Rapid. Despite a platform developed to accommodate four-wheel drive, that is unlikely to make it to the Skoda Vision X. In terms of powertrains, the Vision X SUV will feature 1-litre and 1.5-litre turbo petrol, as well as 1.6-litre turbo diesel engine options, and will also be offered as a plug-in hybrid. Internationally, the Skoda Vision X will compete with the Volkswagen T-Roc, Mazda CX-3, and Nissan Juke.